Prison is just one of a number of sanctions available to the courts to deal with those who commit criminal offences. Imprisonment today is the harshest sanction available, but this has not always been the case. In the sixteenth and seventeenth centuries sanctions for criminal behaviour tended to be public events which were designed to shame and deter; these included the ducking stool, the pillory, whipping, branding and the stocks. At the time the sentence for many other offences was death. Prison tended to be a place where people were held before their trial or while awaiting punishment. It was very rarely used as a punishment in its own right. Evidence suggests that the prisons of this period were badly maintained. Men and women, boys and girls, debtors and murderers were all held together. Many people died of diseases such as gaol fever, which was a form of typhus. The most important innovation of this period was the building of the prototype house of correction, the London Bridewell. Houses of correction were originally part of the machinery of the Poor Law, intended to instil habits of industry to petty offenders and vagrants through prison labour. By the end of this period they were absorbed into the prison system under the control of local Justices of the Peace. Although the eighteenth century has been characterised as the era of the ‘Bloody Code’, there was growing opposition to the death penalty for all but the most serious crimes. It was an era of imprisonment with hard labour and of transportation. Convicts were shipped to the British colonies like America, Australia and Van Diemen’s Land (Tasmania). Prison hulks – ships anchored in the Thames, and at Portsmouth and Plymouth – were also used from 1776, where prisoners would be put to hard labour during the day and then loaded, in chains, onto the ship at night. The appalling conditions on the hulks eventually led to the end of this practice in 1857. Men and women, boys and girls, debtors and murderers were all held together. Many people died of diseases such as gaol fever, which was a form of typhus. In 1777, John Howard (namesake of the Howard League) condemned the prison system as disorganised, barbaric and filthy. He called for wide-ranging reforms including the installation of paid staff, outside inspection, a proper diet and other necessities for prisoners. Howard was the first penal reformer, and others followed suit. Men and women in prison were separated and sanitation was improved. In 1791, Jeremy Bentham designed the ‘panopticon’. This prison design allowed a centrally placed observer to survey all the prisoners, as prison wings radiated out from this central position. Bentham’s panopticon became the model for prison building for the next half century. In 1799 the Pentitentiary Act specified that gaols should be built for one inmate per cell and operate on a silent system with continuous labour. The first half of the nineteenth century represented a watershed in the history of state punishment. Imprisonment replaced capital punishment for most serious offences other than murder and the shaming sanctions such as the stocks were regarded as outdated. In 1777, John Howard condemned the prison system as disorganised, barbaric and filthy. The nineteenth century saw the birth of the state prison. The first national penitentiary was completed at Millbank in London, in 1816. It held 860 prisoners, kept in separate cells, although association with other prisoners was allowed during the day. Work in prison was mainly centred around simple tasks such as picking ‘coir’ (tarred rope) and weaving. In 1842 Pentonville prison was built using the panopticon design; this prison is still used today. Pentonville was originally designed to hold 520 prisoners, each held in a cell measuring 13 feet long, seven feet wide and nine feet high. It operated the separate system, which was basically solitary confinement. Over the next six years, 54 new prisons were built using this template. Penal reform was becoming increasingly popular. Religious groups like the Quakers and the Evangelicals were highly influential in promoting ideas of reform through personal redemption. In 1866, admirers of John Howard founded the Howard Association – which would later be renamed the Howard League for Penal Reform. In 1877 prisons were brought under the control of the Prison Commission. For the first time even local prisons were controlled centrally. At this time prison was seen primarily as a means to deter offending. This was a movement away from the reforming ideals of the past. Religious groups like the Quakers and the Evangelicals were highly influential in promoting ideas of reform through personal redemption. The Prison Act 1898 reasserted reformation as the main role of prison regimes and in many ways this legislation set the tone for prison policy today. It led to a dilution of the separate system, the abolition of hard labour, and established the idea that prison work should be productive, not least for the prisoners, who should be able to earn their livelihood on release. In the twentieth century the development of the criminal justice system continued. The Church of England Temperance Society and other voluntary societies appointed missionaries to the London Police Courts during the late nineteenth century. From this developed the system of releasing offenders on the condition that they kept in touch with the missionary and accepted guidance. In 1907 this supervision was given a statutory basis which allowed courts to appoint and employ probation officers. The Probation Order, introduced by the Probation Service in 1907, was the first community sentence. Over the course of the century the use of such community sentences, as an alternative to custody, would increase. Supervision by a probation officer, unpaid work in the community, and eventually drug treatment and the use of restorative justice, would form the elements of these community sentences. The borstal system was introduced in the Prevention of Crime Act 1908, recognising that young people should have separate prison establishments from adults. Borstal training involved a regime based on hard physical work, technical and educational instruction and a strong moral atmosphere. In 1933, the first open prison was built at New Hall Camp near Wakefield. The theory behind the open prison was summed up in the words of one penal reform, Sir Alex Paterson: “You cannot train a man for freedom under conditions of captivity”. The Probation Order, introduced by the Probation Service in 1907, was the first community sentence. The Criminal Justice Act 1948 abolished penal servitude, hard labour and flogging. It also presented a comprehensive system for the punishment and treatment of offenders. Prison was still at the centre of the system, but the institutions took many different forms including remand centres, detention centres and borstal institutions. 1965 saw the Murder (Abolition of Death Penalty) Act passed in Parliament. In the 1990s, there was a political turn in favour of a more punitive approach to crime and justice. 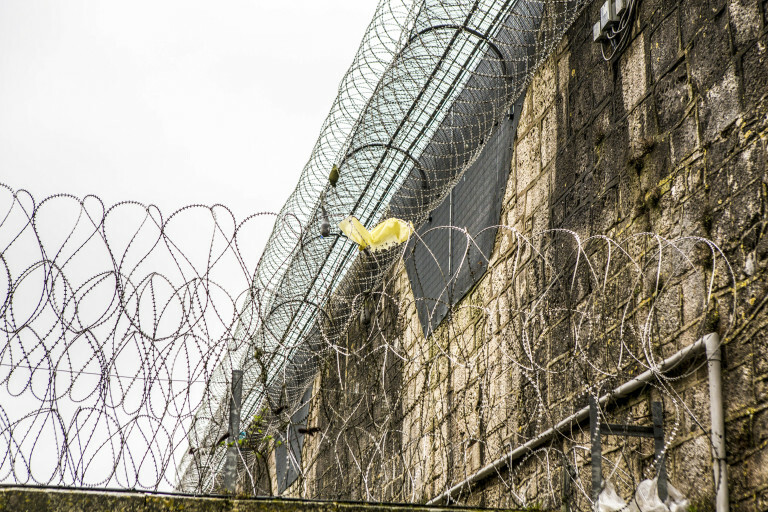 The ‘prison works’ movement was embraced by both Conservative and Labour governments and resulted in a steady rise in the numbers of people behind bars. At the same time, market reforms were introduced into the justice system. Prisons were introduced which were designed, financed, built and run by private companies. So far, in the twenty-first century, this trend of rising prison numbers and marketisation has continued. In 2014 the old Probation Service was split into two and much of it was privatised under the Transforming Rehabilitation programme. In the meantime, the politics of ‘prison works’ and the politics of austerity are in conflict with each other. There is an opportunity once more for meaningful reform.